RoadsideWonder’s Canadian Correspondent, Jo, contributes this cute guitar sign from the Sun-N-Shade campground in Borden-Carleton. 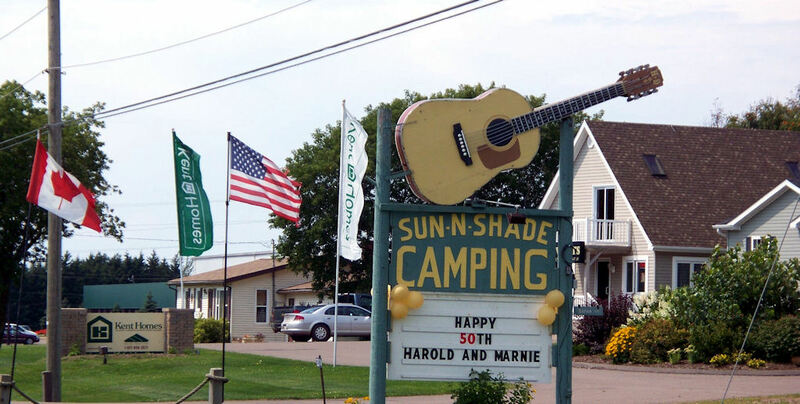 The Sun-N-Shade Campground combines music & camping all-in-one! The S-N-S is very near an architectural wonder that is high on my “to do” list — The Confederation Bridge, which connects Prince Edward Island with New Brunswick. Harold and Marnie…and they said it wouldn’t last.